By way of illustration the parties have mentioned Kamakhya Temple, Assam; Kalibari Temple at Calcutta, Pracheen Hanuman Mandir at Jamuna Bazar, Delhi, Tiruchendur Temple at Tamil Nadu and Dargah Khwaja Moinuddin Chisti, Ajmer. In a major development, the Supreme Court on Thursday extended to all religious institutions across India its directions with regard to proper management of temples and shrines which it had passed in June with regard to Jagannath temple in Odisha and said a devotee can now approach the district judge of any area with complaint of any exploitative practice, deficiencies in the management, maintenance of hygiene, proper utilization of offerings and protection of assets at any shrine throughout India and the district judge will examine the issue and send a report to the high court concerned for necessary directions. It is to be noted that in June, the court had, acting on a Public Interest Litigation, directed the Odisha government and the authorities concerned to prevent exploitative practices at the Jagannath temple besides bringing in proper management scheme. On Thursday, the court extended it to all shrines while suggesting the authorities to consider people of all faiths to make offerings in Jagannath temple. “The issue of difficulties faced by the visitors, exploitative practices, deficiencies in the management, maintenance of hygiene, proper utilization of offerings and protection of assets may require consideration with regard to all Shrines throughout the India, irrespective of religion practiced in such shrines. 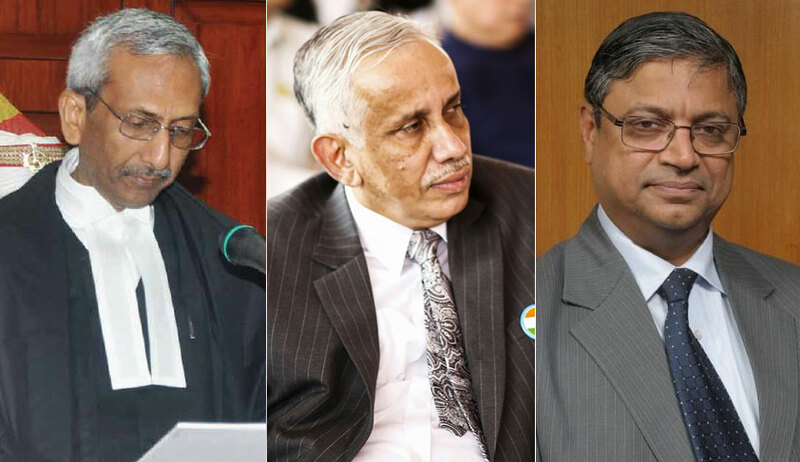 It cannot be disputed that this aspect is covered by List III Item 28 of the Seventh Schedule to the Constitution of India and there is need to look into this aspect by the Central Government, apart from State Governments,” noted a bench of Justice A K Goel and Justice S Abdul Nazeer. The court referred to Section 92 of the Code of Civil Procedure which permits a Court also to issue direction for making a scheme or making an arrangement for any charitable or religious institution. It then went on to order, “Accordingly, we direct that if any devotee moves the jurisdictional District Judge throughout the India with any grievance on the above aspect, the District Judge may either himself/herself or by assigning the issue/matter to any other Court under his/her jurisdiction examine above aspects and if necessary send a report to the High Court. We have no doubt that the High Court will consider these aspects in public interest in accordance with law and issue such judicial directions as becomes necessary having regard to individual fact situation”. Abolition of hereditary Sevaks/Appointment of Sevaks. Prohibition to collect money for Annadan Atika by Sevaks. Ban on placing Thali and Pitches by Sevaks to receive offering. Temple Management to take control of Rosaghar and Chullas. Provision of separate toilets for male and female and sevaks. Queue system for hassle free darshan. Surveillance of collection from Hundis and receptacles. (vii) Audit of Temple Funds by Accountant General. Identity cards for sevaks and staffs. Guides to be registered in Temple office. Reduction of over staffs of Temple Administration. Single authority for security management in Temple Premises. Proposed Amendments in Sri Jagannath Temple Act, 1954. We are not quoting the discussion under each heading. After considering the same, the bench said, “We do not find any serious objection to the suggestions being accepted and implemented subject to further consideration and orders” and added that, “The report of the District Judge may be placed on the website of the temple for information and suggestions of all concerned”. It also said, “Having regard to the experience in the present case and other cases, we suggest that as far as possible the inter-se communication between different courts may be made digitally also”. Report of the District Judge dated 26.6.2018 is accepted in principle and action to be taken by the temple administration. District Judge, Puri may send further report, if any by 31.8.2018, preferably by e-mail. The State Government may submit report of the Committee constituted by it on or before 31.8.2018. The Central Government may constitute its Committee, as already directed, within two weeks from today and place its interim report on record of this Court on or before 31.8.2018. Copy of the Report of the District Judge may be placed on the websites of the temple management, Ministry of Culture and website of the Supreme Court for two weeks. The directions in the order dated 8.6.2018 may be complied with by all concerned and non-compliance thereof may be reported to this Court for appropriate action if necessary. The temple management may consider, subject to regulatory measures, with regard to dress code, giving of an appropriate declaration or compliance with other directions, permitting every visitor irrespective of his faith, to offer respects and to make offerings to the deity. We have noted that Hinduism does not eliminate any other belief and is eternal faith and wisdom and inspiration of centuries, as noted in earlier judgments of this Court. Difficulties faced by the visitors, deficiencies in management, maintenance of hygiene, appropriate utilization of offerings and protections of assets with regard to shrines, irrespective of religion is a matter for consideration not only for the State Government, Central Government but also for Courts. Every District Judge throughout India may examine such matters himself or through any court under his jurisdiction and send a report to the concerned High Court so that such report can be treated as PIL on the judicial side and such direction may be issued as may be considered necessary having regard to individual fact situation. Learned amicus is at liberty to engage with all stakeholders and to give suggestions for bringing about improvements and also to give a report to this Court. However, this will not stand in the way of the Committee of the State Government, Committee of the Central 10 Government or any District Judge considering matters in terms of above directions.